Check out our blog for the latest information on what’s happening on the Cohos Trail in 2018. And don’t forget to always check our Trouble Spots page before a hike. Since the inception of the Ride The Wilds ATV system in Coos County, motorized vehicles have impacted a considerable amount of Cohos Trail mileage between Coleman State Park and Cedar Stream Road south of Lake Francis and the Kelsey Notch Road and the wind turbine access lane on Dixville Peak. Our hiking association is making plans to get off all ATV routes, but it will take some years to do so, as we need formal plans and permission, and we must cut lengthy new woodland trails. So hikers must be cognizant of ATV traffic and get off trails when the vehicles are moving through. But there are some places where it’s difficult to get away from the traffic or bypass some of the wettest terrain made worse by the vehicles. So we advise caution, and we advise giving the motorized craft a wide berth. The Cohos Trail Association maintains five shelters right now and a tent platform site, too. There are more shelters on the trail than those at our association maintains. In Pittsburg, Ramblewood Cabins and Campground maintains a lean-to. It’s available for a fee. At Deer Mt. Campground there is a four-sided camp that can be reserved for a fee. On Mt. Cabot in the Kilkenny division of the national forest, the Mt. Cabot watchman’s cabin is available on a first-come first-served basis. It holds up to eight people. In the Whites, on the Dry River Trail about a mile north of the Cohos Trail route reposes the Dry River Shelter. And lastly, other than shelters, there are tent platforms in various locations, from Percy Loop Camp on North Percy Peak, to a few in Lake Francis State Campground and in Deer Mt. State Campground. There are some troublespots that have been remedied a bit by better blazing. The entrance to the Kelsey Notch Trail from the north has been completely reblazed. Trees had been removed in the area and our signs and blazing was missing. No mistaking the 90-degree turn now. The link from the summit of Mt. Prospect out to Ramblewood in Pittsburg has been reblazed quite a bit and the pathways clipped. More work has to be done, but the way through the woods is now much more distinct. The entrance to the Sugarloaf Arm Trail and the trail itself have been reblazed a great deal, starting at the gate on the southwest end all the way to the junction with the Sugarloaf Mt. Trail. The Kelsey Notch Trail received a good deal of new blaze paint, as well, and the route was heavily clipped, too. The Col. Whipple Trail in Pondicherry Wildlife Refuge sports some fresh blaze paint, as does the Old Summer Club Trail and the north end of the East Side Trail. The parking area and the access to it on the Montgomery property off the Bell Hill Road in Stark will new signage created by Ray Chaput of Twin Mountain. This parking lot allows section hikers to park out of sight from the highways and secondary roads, thanks to the generosity of the landowner. There is a sign kiosk at the lot. The Pike Pond Trail, an access path from the lot to the Bald Mountain Notch Trail takes off westward. It is blazed in blue paint. The parking area can be reached by turning off Route 110 several miles west of Stark village onto the Bell Hill Road. Cross the bridge over the Upper Ammonoosuc River, cross the railroad tracks and continue through an intersection straight ahead. Climb the hill. Near the very top of the hill the drive, Pike Pond Road, is on the left. Turn left and then watch for a second left not far from a building (ahead and to the right). Turn left and travel a minute to the parking lot. There are some spots along the route where you should expect some wet footing in wet weather or moist summers, other than at stream crossings. One or two puncheons on the Col. Whipple Trail can submerge slightly if water is high. The old dogleg pathway from the South Pond Road down to the Route 110 crossing can be quite soggy on the east end. Behind Bald Mt., on the Bald Mt. Notch Trail, two spots can backup with water. You have to skirt around these small impediments if there has been a lot of rain or snowmelt. The beaver activity on the north end of the East Side Trail has dropped off and so has the water level. The trail is drier now than it has been in some time, but still can be wet if a lot of drainage is underway off the ridges. 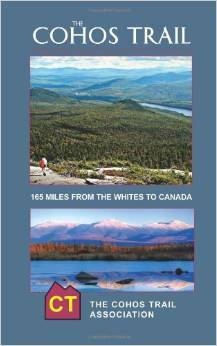 Both the Wilderness Link between Dixville Peak and Mt. Gloriette and the Table Rock Link between the Balsams Ski Resort summit and Table Rock have some soggy ground in places when the heavens don’t cooperate. The Deadwater Trail south of the junction with the Dead Water Loop Road can be a bear to get through these days. And the low spot just west of Third Connecticut Lake near the border is notoriously wet underfoot for nearly 40 feet. As you trek along, you’ll come across a number of two-legged sign kiosks with roofing. We have more in the plans but check out the stunning Cohos Trail graphics that feature the sensational work of local photographers. Now that you’ve taken the time to read down through all this endless copy, maybe you ought to chuck everything now and get the boots on and the backpack on and get out there on the Cohos Trail. It’s great to hike the trail. It’s also great to pitch in. We are always encouraging volunteers to spend a few hours, a day or two, or a year out there with us on the trail helping make the Cohos Trail the best darned new hiking trail in the Northeast in three generations. 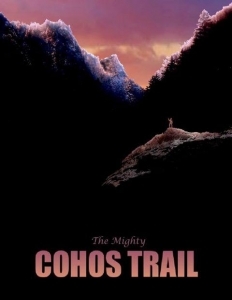 We don’t call the long pathway the “mighty” Cohos Trail for nothing. Be a part of something big. And, as we like to say, hike ‘til you drop!